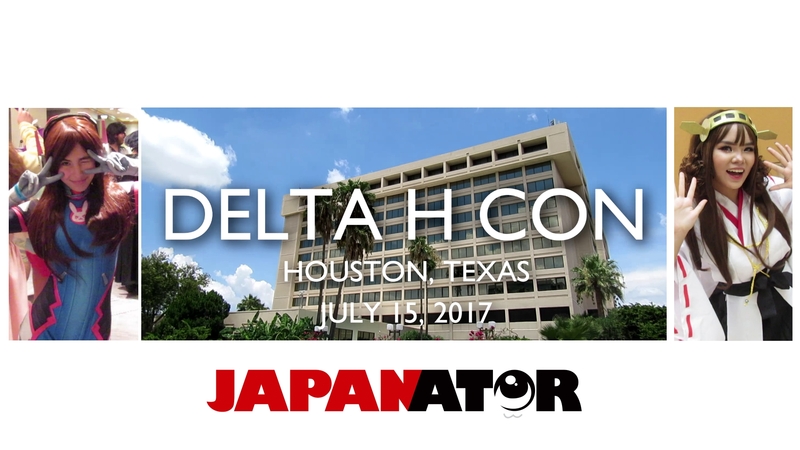 Last weekend I decided to drop by and check out a little bit of Delta H Con, one of the many anime/fandom conventions in the city of Houston, Texas. I was only there for around two hours and had to go home early since Houston weather got really bad that day with lightning and rain. One of the guests at the con was GAKU SPACE, the voice actor of Genji from the popular video game Overwatch who was very true to his character in the video. A few noteworthy anime voice actors were also there, one being Tiffany Grant, the voice of Asuka Langley from the english dub of Neon Genesis Evangelion. Sadly, I couldn't get her to say to "Get in the f*cking robot, Shinji" because security told me to get off the table. Plenty of anime merch and great cosplay was present as always, being that Houston also hosts the second largest anime convention in the US. I didn't get all the cosplay and missed out on some really good ones due to my limited time frame with the convention had definitely gotten bigger which did not favor the modestly sized hotel's layout. I'll definitely spend more time next year to see all the cool stuff again and more. So check out a short video of the sights and sounds of Delta H Con above!